A Must-See visit to Santa Fe and the Loretto Chapel, one of the most popular tourist attractions worldwide, transformed into a painting inspired by its genuine marvelous and unarguably miraculous creation. Whether it be Saint Joseph Jesus' dad, or the human craftsman Francois Jean (Frenchy) Rochas, to complete the ornate building of architect Antoine Mouly, this monument is something that will never leave your memory once you've seen it. 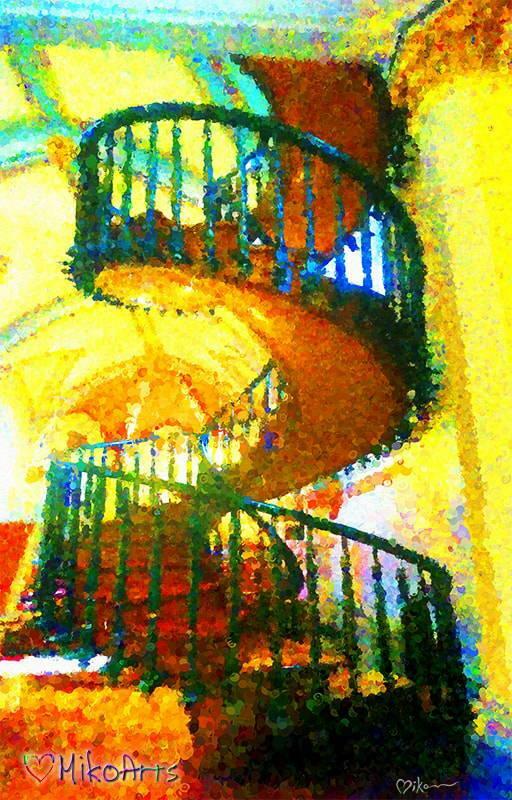 A surprise invitation from a friend’s aunt and uncle led me on one of the nicest day trips, up to see the artistic and historical fruits of Santa Fe, and, the Loretto Chapel where the famous Miracle Staircase was built. This painting is one of the pieces I began undertaking after getting back to Albuquerque and practicing with my Wacom tablet. Always somewhere amidst the debates of science and religion in my growing up life and then with the constant media battles of God-vs-Darwin and the like, I noticed one day while just looking the pictures, that this is a remarkable, stunning, gorgeous work of carpentry, regardless of who did it. 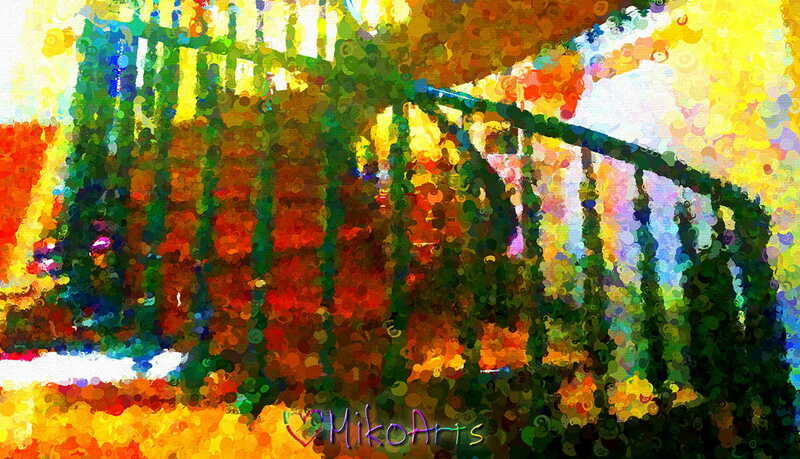 In this version I sought to emphasize the staircase’s aspiring quality, with radiant colors and light. Whether Joseph the Carpenter of legend mysteriously appeared to the Loretto Chapel Sisters and answered their prayers, or whether Jean “Frenchy” Rochas arrived from France as a member of a secret society of builders, the emotions conveyed in this work of building are something that is, in themselves, miraculous.